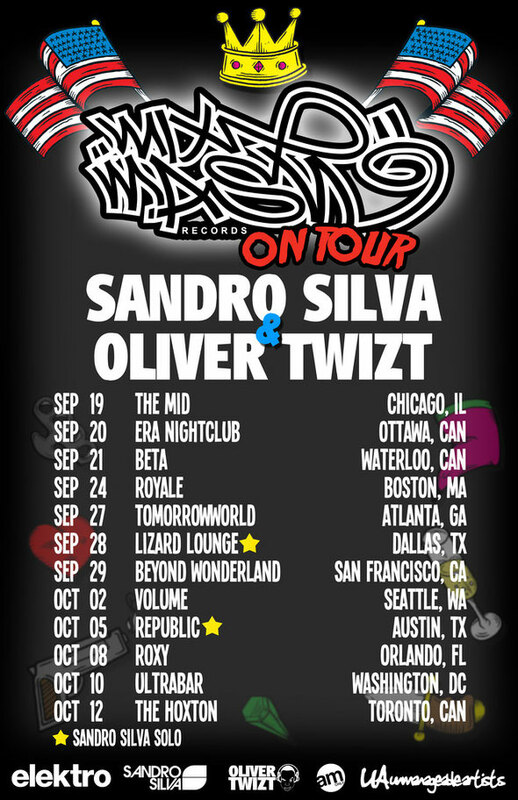 Sandro Silva and Oliver Twizt have joined forces for a Mixmash Records tour which will take them all over North America. Both of these young artists have proved themselves in both the studio and on the stage, and as ambassadors of Mixmash they plan to excite. Sandro Silva has been producing since he was 15 years old, and at the age of 21 has accomplished much more than many artists twice his age. He started releasing music on Mixmash with his track ‘Prom Night’ followed up with ‘Gladiator’, a collaboration with fellow tour colleague Oliver Twizt.